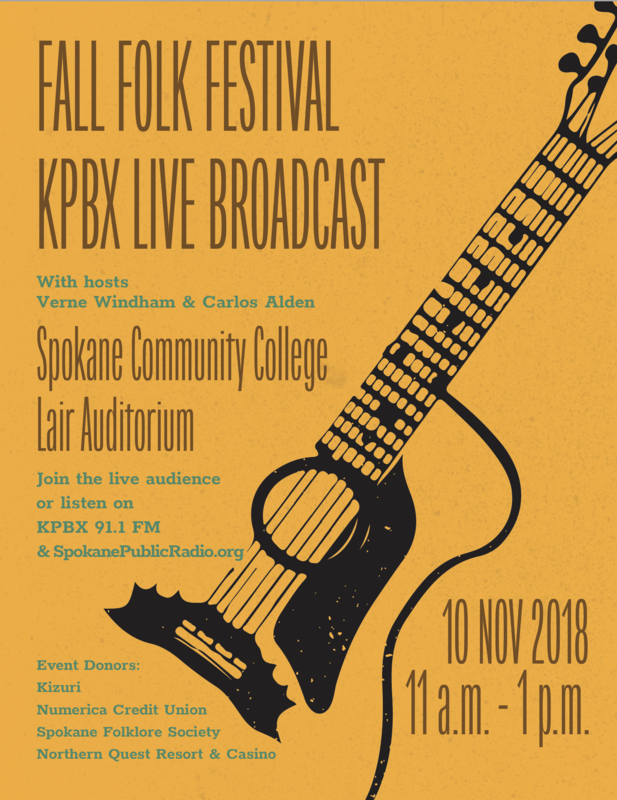 The annual Fall Folk Festival kicks off Saturday, November 10 with a free concert broadcast live on KPBX. SPR's Verne Windham and Carlos Alden will host a diverse group of folk performers at Spokane Community College. Audience members are welcome to watch and listen anytime between 11 a.m. and 1 p.m. in the Lair Auditorium at the college on Mission and Greene. The live broadcast is presented thanks to event donors Kizuri, Northern Quest Resort & Casino, Numerica Credit Union, and the Spokane Folklore Society.